Just click the image to download, or click here. • a full page of mini flags that you can wrap around toothpicks, straws, etc. • a full page of 1.25" circles to use as cupcake toppers or other decorations. 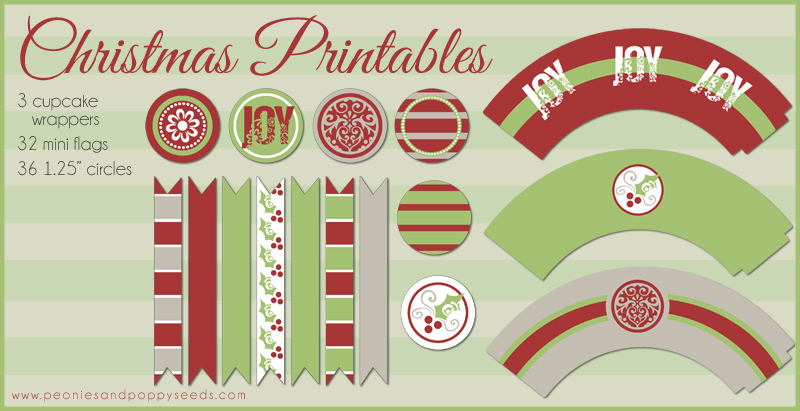 And check back later this week to get the rest of the matching Christmas printables set!